A gorgeous ring consisting of an oval tanzanite of almost 0.650 carats with 12 diamonds of 0.110 carats etched on either sides of the band make it look glitterier. 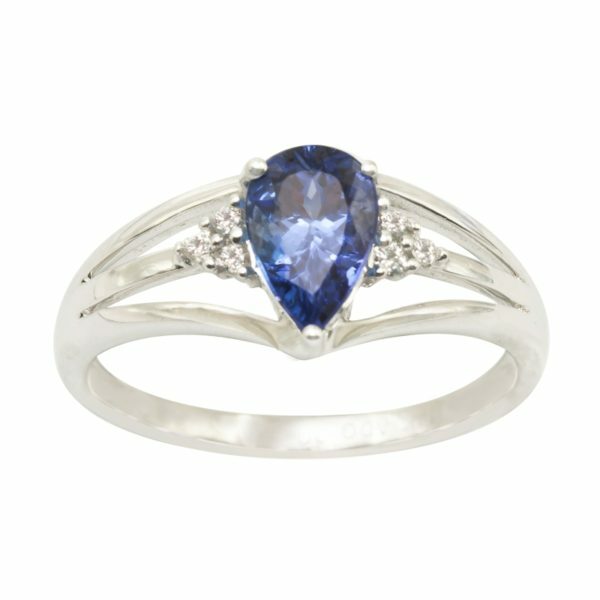 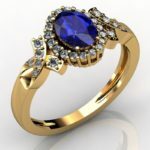 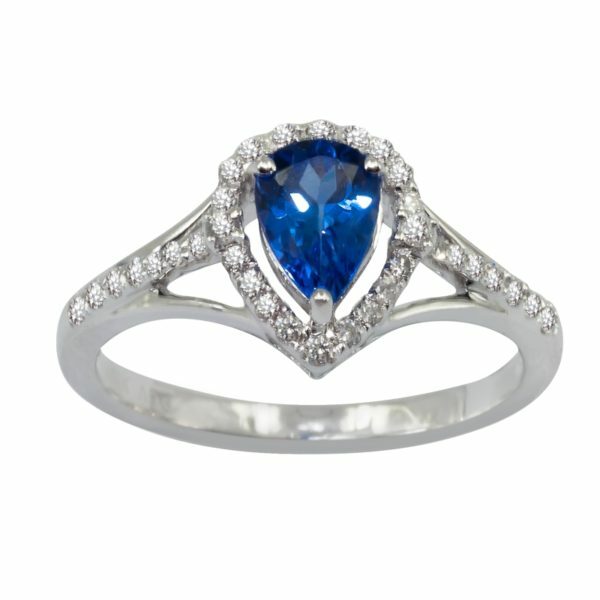 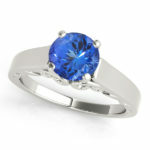 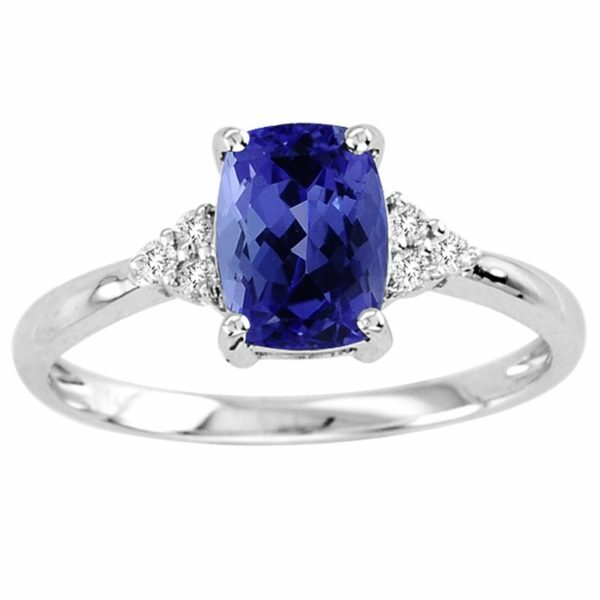 The gemstone seems to be beautifully engraved on a 14k white gold making it look more appealing. 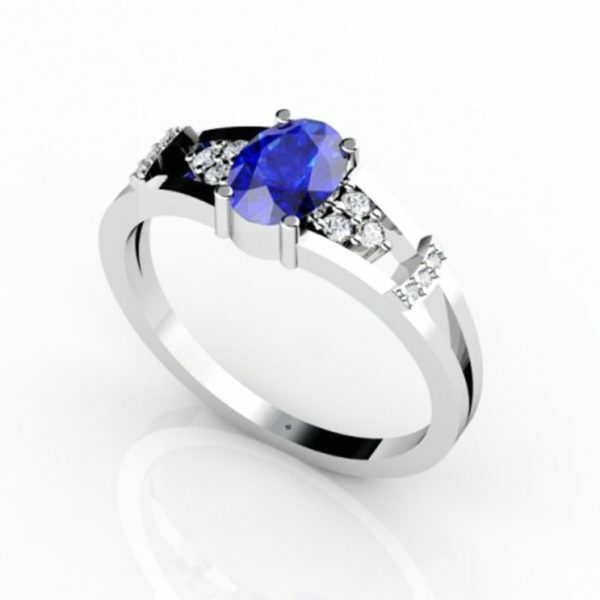 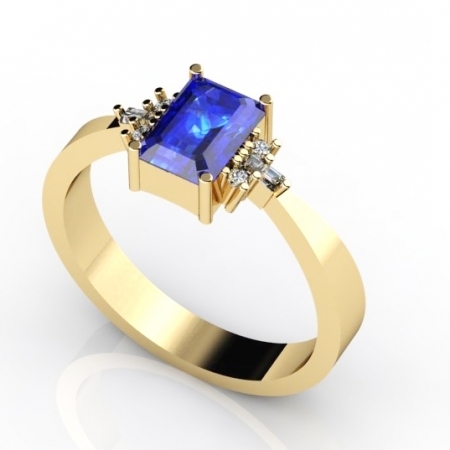 The blue aura of tanzanite when blended with white sparkle of diamond makes it look more divine and artistic with its illumination.